As the temperatures rise, days lengthen and brown turns to green, these delicately flavored early spring greens are cleansing, refreshing and hydrating. 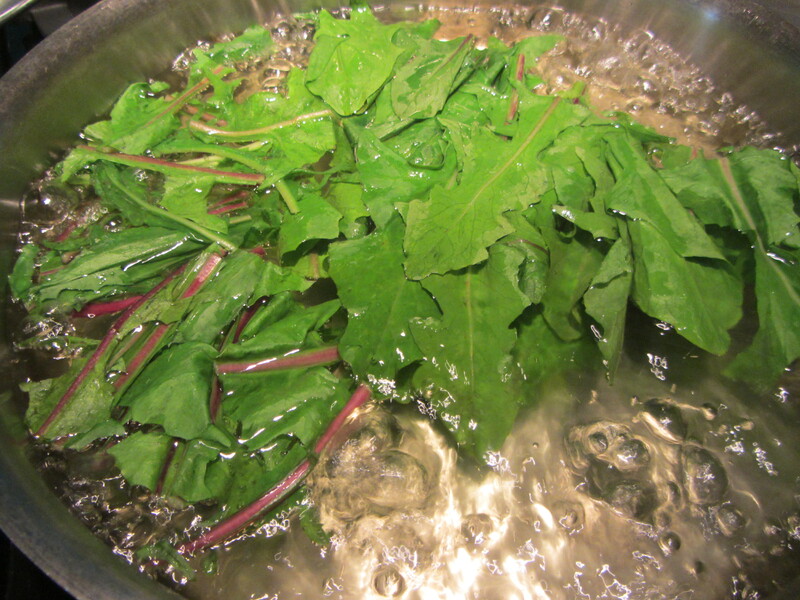 Process Cut away the tough stems of the dandelion, watercress and kale leaves.Discard. 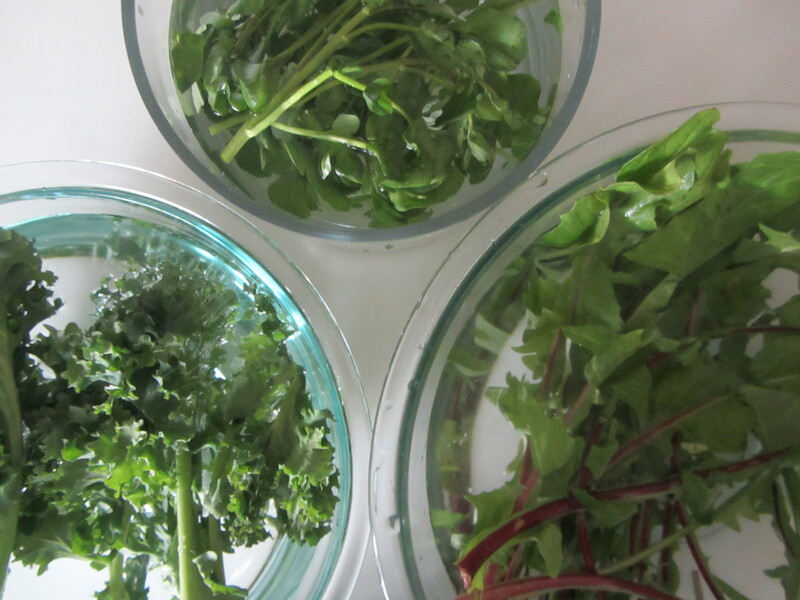 Wash the dandelion, kale and watercress, in separate bowls. Remove from water and cut each of the greens into “bite-size” pieces. set aside. Bring the water back to a boil and add the watercress. It will float to the top within 10 or 20 seconds; remove it and set aside. Repeat with the kale. In the meantime, scrape the skin of the carrot and wash it well. 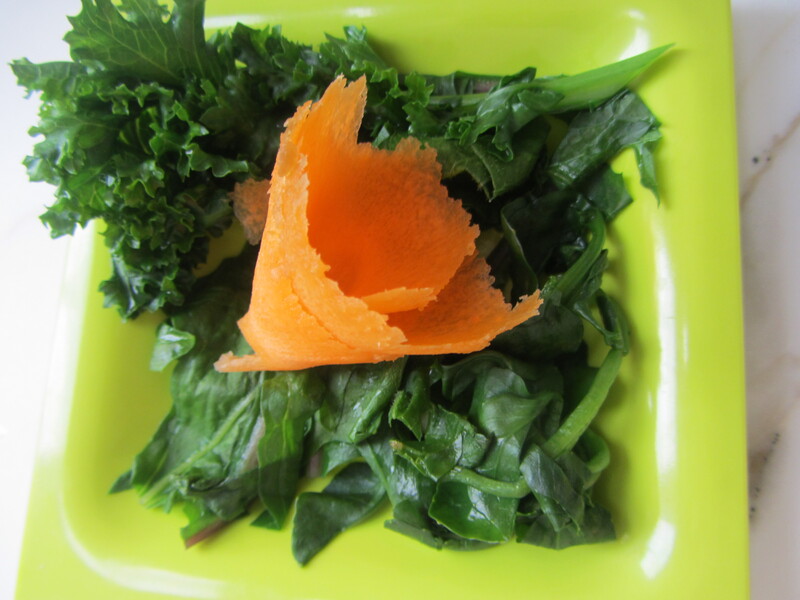 Use a cucumber, carrot peeler/sharpener to shave a fan-shaped piece of carrot. Roll it up to create a carrot flower. 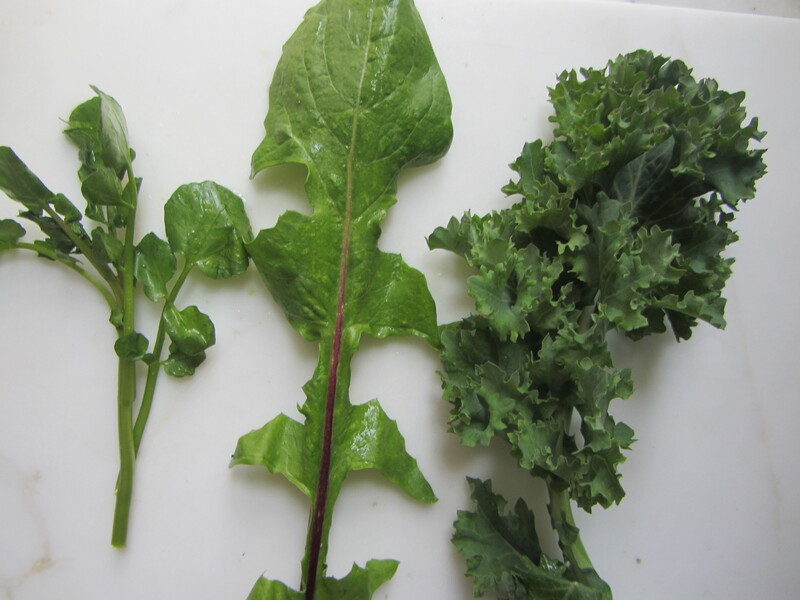 Arrange the greens on individual plates, keeping the three varieties of greens separate. Garnish with the carrot flower. Squeeze the orange and drizzle some juice on each salad.